Well, it is another cold and rainy day today. This winter, I wanted to try and make more hearty and low-fat soups. My husband’s job requires him to be outdoors during the day. I know that when it is cold outside, I welcome a soup that warms you up on the inside. I also like to pack these soups for my husband’s lunches. Last week, I made a beautiful sweet potato bisque and with that success I was excited to try this yummy combination! 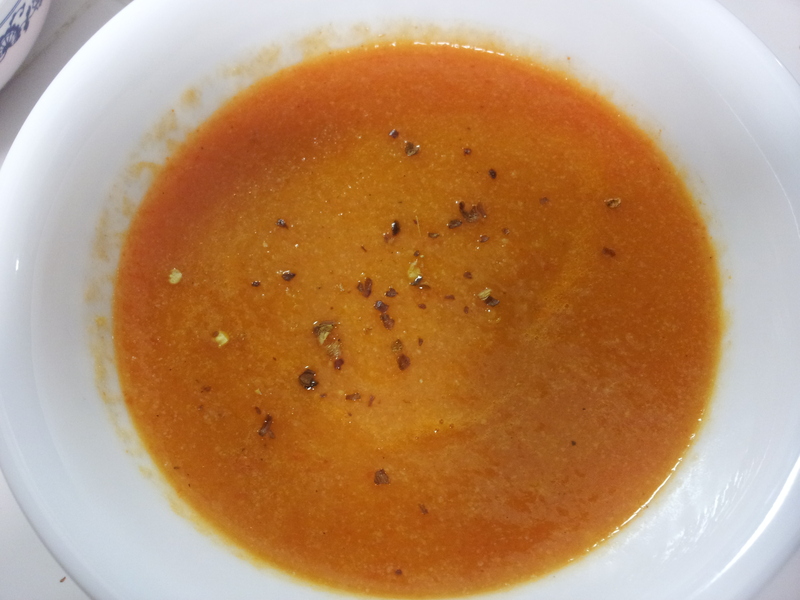 This soup is very simple, really healthy and has a nice spicy kick to it. I hope you enjoy it as much as we did. Wash and remove any stickers from the red bell peppers. Place bell peppers on an aluminum foiled tray and place in oven. Bake for about 30 minutes, rotating the peppers until the peppers are blackened. Place roasted bell peppers in a plastic bag and close it. Let the peppers rest in its steam for about 10 minutes. Carefully remove the bell peppers from the bag and remove the blackened skins. Cut up the bell peppers. In a large pot, saute onions and garlic in butter until onions are softened. Add cauliflower and broth and let the pot to simmer until cauliflower is tender. Add bell peppers and black pepper. Have a warm cozy day!